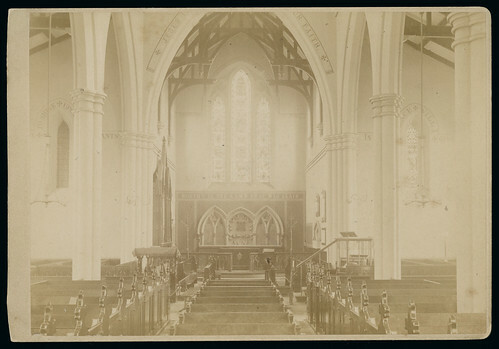 The interior of the church has changed considerably since it was built, as there have been restorations and additions at various times. The richly carved mid-12th century font from the old Lenton Priory is one of the most interesting in the country, one of only five rectangular narrative fonts. Holy Trinity includes memorials and family links to Nottingham’s WW1 flying ace, Albert Ball, nursing heroine Dorothea Crewdson, and prominent Nottingham suffragette Helen Watts. Explore the chancel & reredos, eight memorial stained glass windows windows and eighteen memorial plaques. Dry rot was discovered in 2013 and the building closed in 2014. After a huge project of work, that we hope will secure the building for the next 100 years, the building reopened on 11th June 2016.